On 19 May 2017, streamed live as part of Online Radio Festival 2017, the Pan African Space Station presented an hour-long exploration into the seminal Second World Black and African Festival of Arts and Culture (FESTAC 77) held in Lagos, Nigeria in 1977. 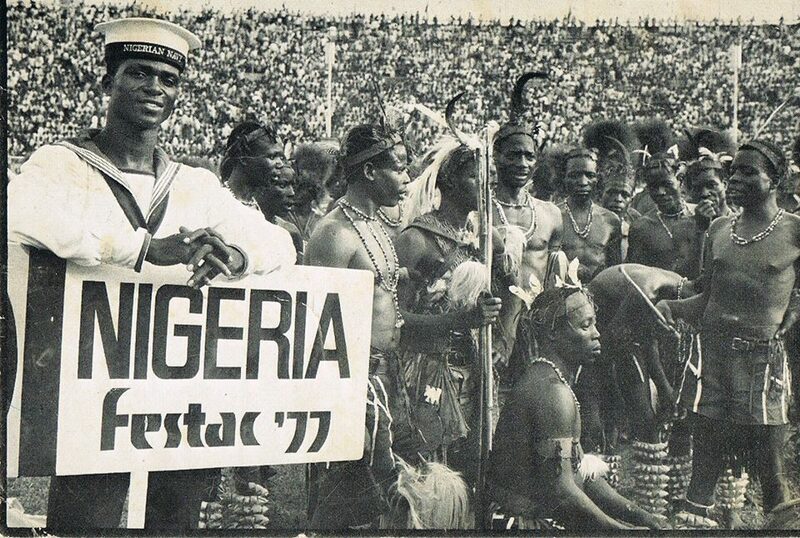 Speaking to Chimurenga‘s ongoing research into the legacy of FESTAC 77, this mix is a historical-critical sonic presentation interrogating issues of place, exile and nationhood, and the confrontations and intersections of ideas on culture, politics and identities. The Legacy of FESTAC ’77 pays tribute to artists and thinkers who participated in the largest pan-African gathering ever to have taken place at the time and ensuing conversations, featuring Randy Watson, Mandla Langa, The Blue Notes, Keorapetse Kgotsitsile, Michael McMillan, Myriam Makeba, Tabu Ley Rochereau and more. Listen here. Category: News, Pass Blog | Tags: FESTAC '77, online radio festival | Bookmark: permalink.